From last few days I was facing Green Screen problem while watching videos. A green color bar was appearing on top of the video player and color of video get change (as you can see in below image). There are different-different kind of green screen problems for instance some people face problem like they can’t see any part of the video sense and instead of that they can full screen of video player appears green. This green screen problem is not only stick with YouTube or any particular video site/player and it is not temporary, for some video this problem may not appear, e.g. : the video which only one image/sense (example). 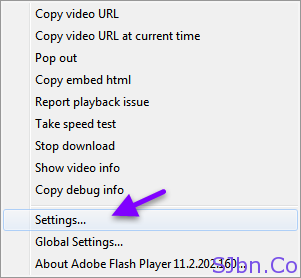 To fix this problem all you need to do is right-click on flash video player, select Settings…, now deselect Enable hardware acceleration check box and click on Close button. Now refresh the page and your problem will be solved. Hardware acceleration is the use of computer hardware to perform some function faster than is possible in software running on the general-purpose CPU. Examples of hardware acceleration include blitting acceleration functionality in graphics processing units (GPUs) and instructions for complex operations in CPUs.